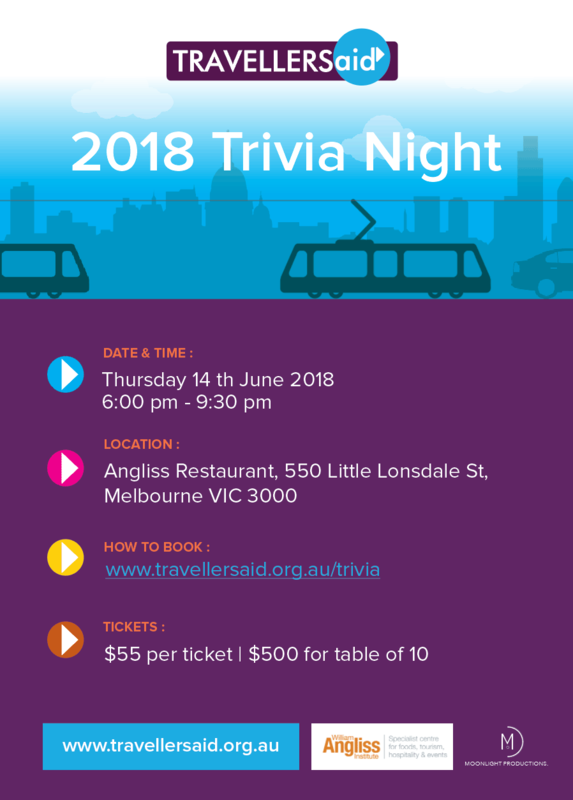 Tickets are now available for the 2018 TAA Trivia Night. This will be the 8th Annual trivia night hosted yet again by the hilarious Quizmeisters team. Please join us at the new venue, William Angliss Restaurant, for a night of fun, facts and frivolities with some great prizes. Funds raised from the evening support the work of TAA. When: Thursday 14th June 2018 6pm for a 6:30pm trivia start? What: Trivia by Quiz Meisters and ample finger food provided?